On April 30, 1969 at the Civic Auditorium, Promoter Ed Francis presented four matches. In the first match, Lord Blears defeated Harry Fujiwara, in the next match, Curtis Iaukea defeated Ray Kamaka. 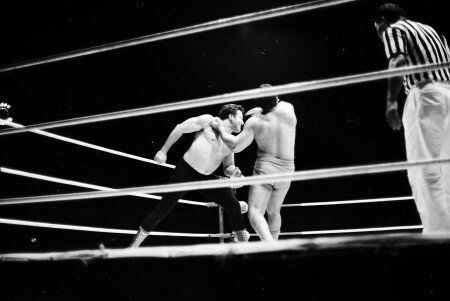 The semi-main event pitted Pedro Morales against Rocky Montero in a two-out-of-three fall match. 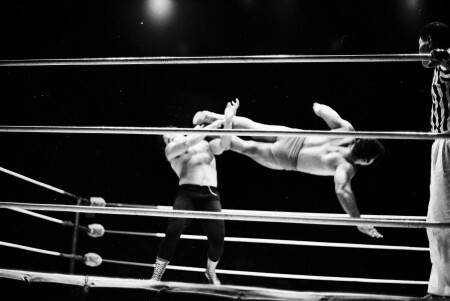 The first fall was awarded to Morales via a disqualification after Montero threw him over the top ropes. Morales won the second fall and the match by using three drop kicks and a press to pin Montero in the tome of 8:41. Morales delivers a chop to Montero. In main event was a rematch for the Hawaiian tag team championship. 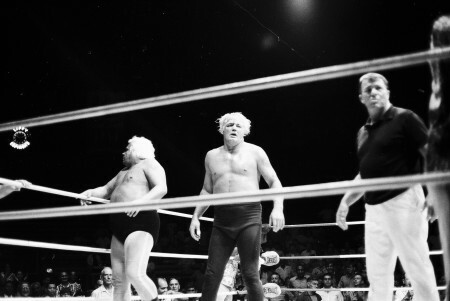 Ripper Collins and Buddy Austin, who defeated Nick Bockwinkel and Bobby Shane two weeks earlier, were giving the former champions their rematch. One specification in the contest stated that Friday Allman, Collins' valet, would be handcuffed at ringside during the match. The match was two out of three falls with a one hour time limit and championship rules. The Champions enter the ring. 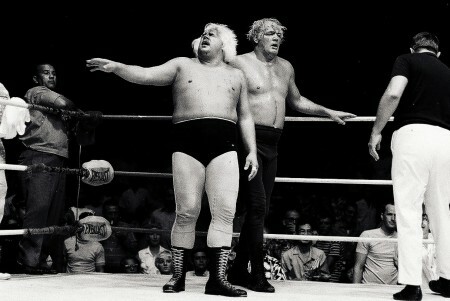 Ripper and Killer take a breather in the ring. Killer Buddy Austin kicks Bobby Shane. The first fall went to the team of Collins and Austin, after Austin used a atomic drop on Shane, then pinned him. For the second fall, Bockwinkel used four drop kicks on Austin then pinned him to even up the match. The third fall was very interesting. After about five minutes of action, both Collins and Austin kept working over Shane but refused to pin him. 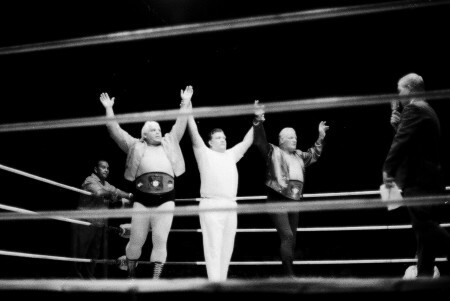 Pedro Morales, who was watching the match from the locker room area ran into the ring and attacked Collins and Austin. After Morales had Austin on the mat, he began to stomp on him viciously and Austin started to bleed. At this point, Promoter Ed Francis ran into the ring and was attacked by Collins and the two started to battle it out. Promoter Ed Francis attacks Collins. 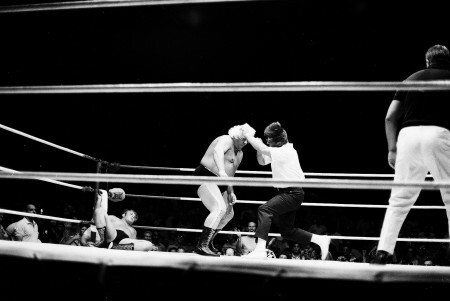 At the time of 9:17 of the third fall, referee Pete Peterson rang the bell and the match was ended. Collins and Austin were awarded the match on a disqualification because Morales had interfered, thus allowing them to retain their tag team titles.